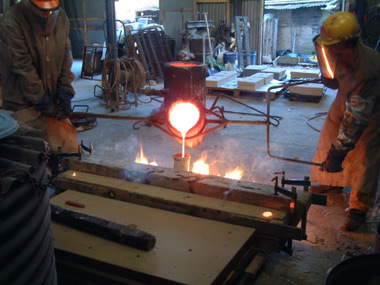 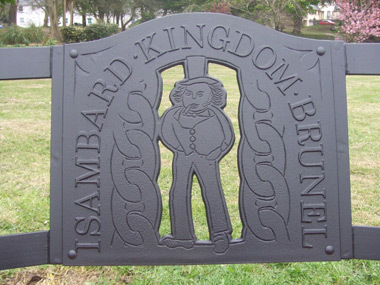 In September SAND PALACE ARTS began working with the Neyland community on ideas and designs for the Brunel Commemorative Bench. 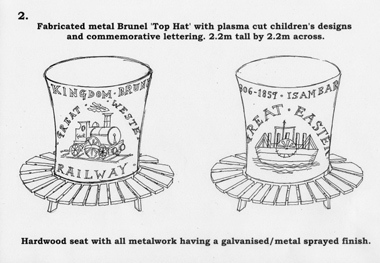 The initial open workshop at the Brunel Festival Weekend introduced the project and offered an opportunity for the community to get involved., many exciting designs and maquettes were created at this event. 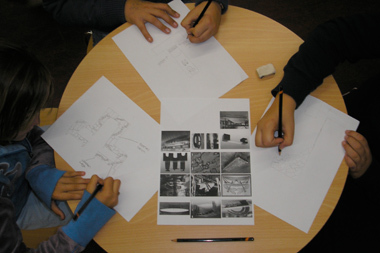 From then up until the end of October we ran a series of design workshops with youth groups, after-school clubs and day centres in Neyland culminating in an exhibition of all the designs in Neyland Library Gallery and a final public open workshop design day. 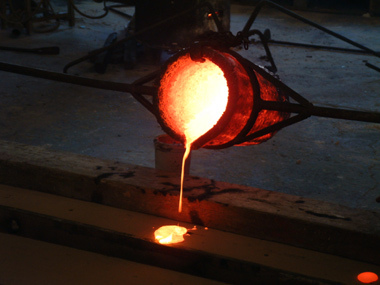 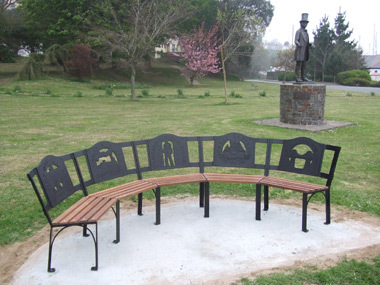 Robert Jakes worked with all the resulting imagery to create four designs that incorporated as many of the ideas as possible. 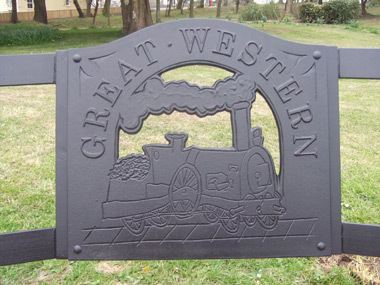 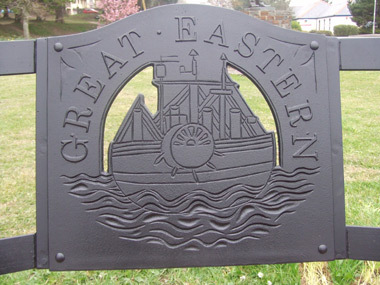 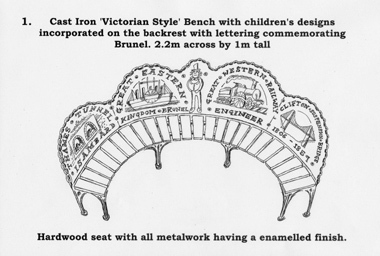 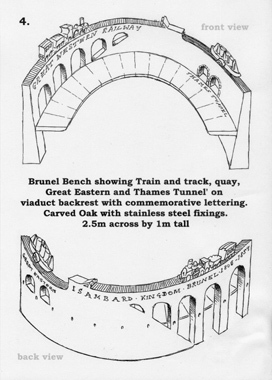 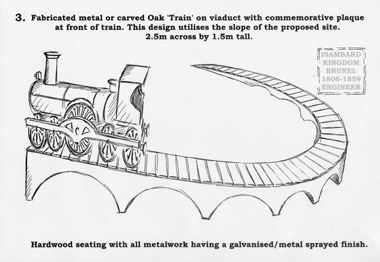 These designs were then shown to the Brunel Festival Committee who decided upon the Victorian style bench. 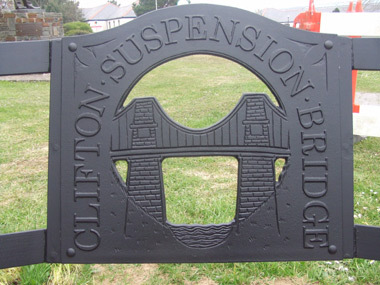 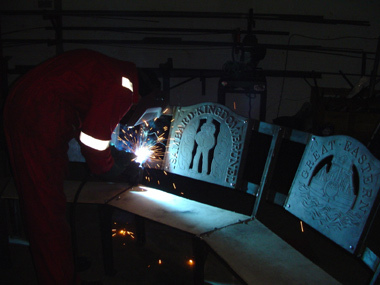 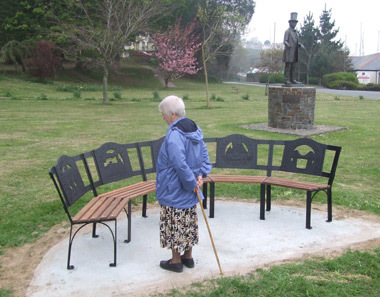 Robert worked on this selected design with local Metal fabricators ‘Honeyborough Wrought Iron’ Neyland and local Foundry ‘MB Finearts’ in Clynderwen to make the bench a reality. 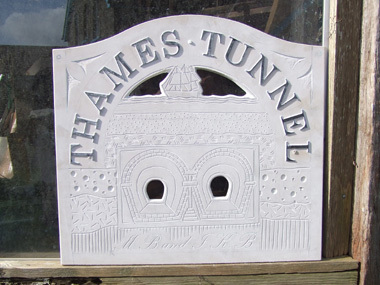 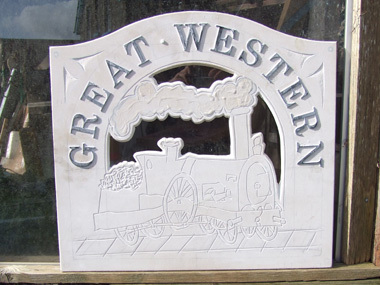 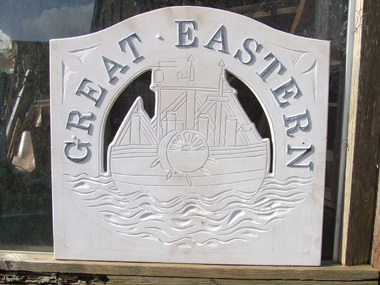 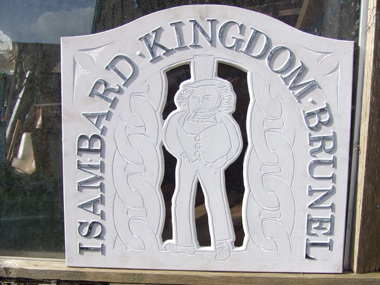 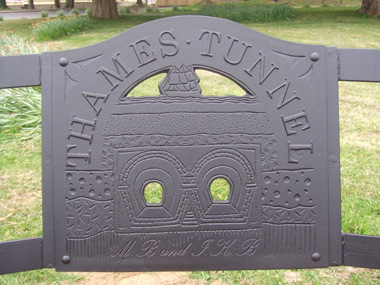 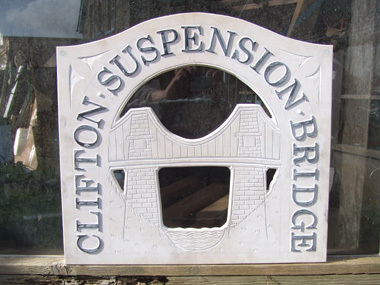 Robert carved the panels that depicted the work of Brunel (as drawn by the children) in preparation for them to be cast in Iron. 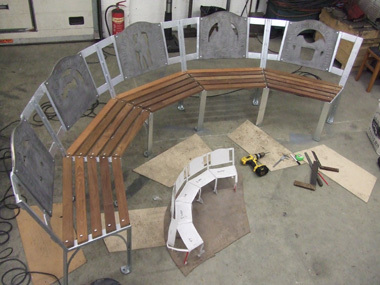 The bench supports were fabricated in steel, galvanised and painted by HWI in Neyland and the wooden bench slats were made using reclaimed ships timbers from the docks.